Living overseas has today become a consistent trend. The reason is the availability of better work opportunities leading to a higher standard of living. Some students after completing their graduation/post graduation reach the foreign lands to do a job for living a comfortable life and also for earning a fine remuneration. At the time of shifting, they are not aware regarding the benefits of a particular visa in the long run for them. Countries offer various options in the visa categories for selection. There are different Visas based on purpose, age, investment, education received and work status. Also there are categories in a visa type in some countries. Presently, an aspirant moves overseas on a work permit or submits an application for the permanent residential visa. This practice is because of an inexpensive process to get a work permit, in comparison to the Permanent Residency Visa, in some countries. A Work Permit essentially is legal evidence that is signed by s personnel, or a work sponsor which permits a person of foreign origin, to get a job in a nation, and continue the work in a legal manner. A PR Visa gives the status of permanent residence, and offers some benefits, to a foreign person and the family/dependents accompanying him/her. There are different names for temporary work permit. In the USA, it is H-1B, and in Canada it is Job/Work Visa. It is advisable for all candidates to view the official websites thoroughly before applying for any visa. They must also know the details regarding requirements. Temporary Work Permit & Visa: A sponsor is the party behind sues this permit. There is no chance to change this Job, or negotiate power and no mechanism to address abuses. Temporary Work Permit & Visa: A person has to leave the country if a lay-off happens or the company dissolves. The period to leave is few days only. Temporary Work Permit & Visa: this does not allow a candidate to branch out or to start a business in the country. Temporary Work Permit & Visa: No provisions exist for direct sponsorship of spouses; and the candidate has to find employment and secure sponsorship, at the individual level. PR Visa: there is no need for a separate permit/authorization for the spouse to work in Canada. Temporary Work Permit & Visa: In USA, when the green card is not approved in six years on the H-1B visa, the candidate has to return to country of origin. PR Visa: in Canada, after arriving in the country, the fresh immigrants (and their families), can receive a PR Visa. The sponsorship is limited to the spouses and close dependent children. Moreover, other family members are denied the sponsorship benefits. Furthermore, the method to get a green card is lengthy, and makes the citizenship difficult. PRs are eligible and can apply for citizenship after completing a living period in Canada of three years. Temporary Work Permit & Visa: There are restrictions regarding travels in and out of a country in the Work permits. 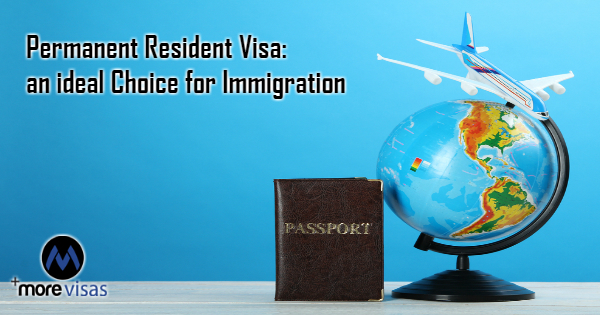 PR Visa: There is no bar on exit and entry in the country for permanent residents. Some Countries offer pathways to a work permit after post completing studies in eligible courses. In a short time they can apply for permanent residence visa and also obtain citizenship. Finally, based on these facts we can conclude that applying for a Permanent Resident Visa is better in comparison to the temporary Work Permit.